Dr. Jim Taylor received his Doctorate of Veterinary Medicine from the Oklahoma State University College of Veterinary Medicine in 2004. He began his professional career working for two years in small animal private practice in Edmond, Oklahoma. Following his time in private practice, he continued his academic studies by completing a one-year small animal rotating internship at Garden State Veterinary Specialists in New Jersey. In 2007, he joined Veterinary Surgical Centers (VSC) for a one-year surgical internship and remained to complete his three-year surgical residency. He achieved Diplomate status as a board-certified small animal surgeon in 2012, and is now VSC’s chief surgeon at its Leesburg, Virginia, location. He is a member of the Loudoun County Veterinary Medical Association. 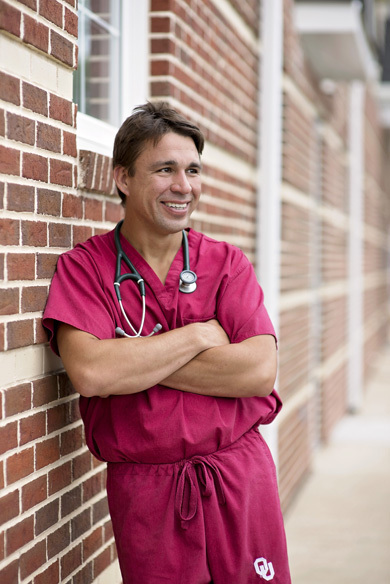 In his free time, Dr. Taylor enjoys various outdoor activities and watching Oklahoma football.